Minimal pieces that feature precious metals like platinum, yellow, white and rose gold in combination with melee or a single solitaire diamonds, are a stunning way to make a subtle statement. The simplicity of these pieces allows them to compliment and be paired alongside more decadent and statement pieces, such as a striking dress ring or stacked tennis bracelets to complete a sophisticated yet elegant look. Such pieces allow the wearer to easily experiment with their personal aesthetic in a number of different ways. With the rise of both geometric and asymmetric shapes, minimal jewellery can become more versatile and contemporary, whilst retaining classic and sophisticated characteristics. This also makes minimal jewellery ideal for day-night wear. Pave set diamonds embellishing a simple pendant can elevate an outfit with subtle sparkle, appropriate for any occasion, all year-round. 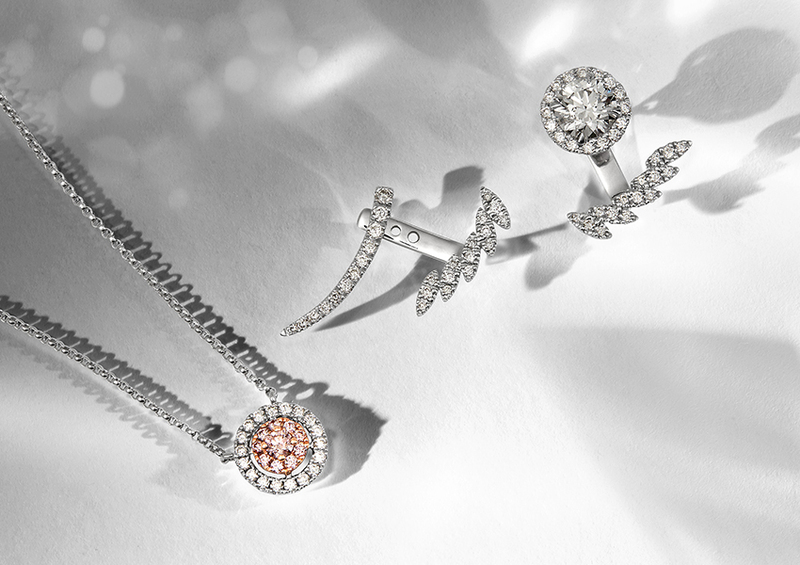 The fusion of traditional and contemporary design also makes minimal jewellery a great gift and the perfect introduction and entry point to diamonds. With the festive season fast approaching, it’s the perfect time to introduce something different to one’s collection. The ultimate gift for an admirer of unusual designs, our Marquise Shape Diamond Ear Cuff is created with round brilliant cut diamonds set in 18ct white gold and can be paired with diamond halo studs for a subtle yet luxurious aesthetic. We love integrating contrasting styles and introducing our clients to something new. The simple beauty of our Minimal Collection has the ability to be customised and is a brilliant way to commemorate the special moments in life. Follow us on Instagram for more special gifting ideas to surprise your loved ones.